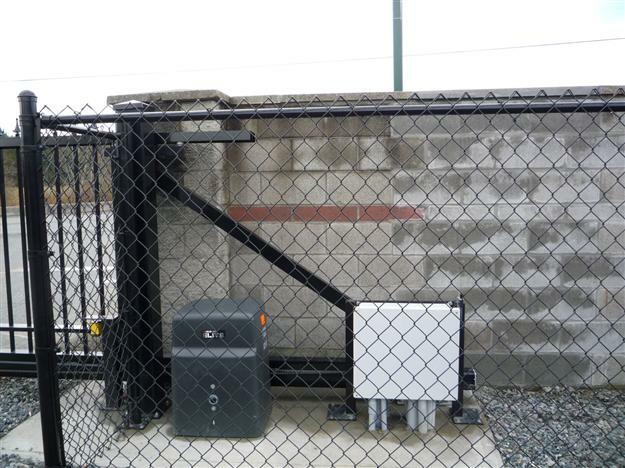 Weatherproof boxes designed to house the main control panel for the gate operator and to protect additional accessories, such as the radio receiver, loop detector and power transformer. 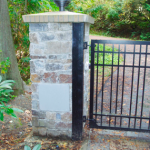 These products can be provided in advance, so that they can be incorporated into the stone columns, or they can be mounted on a custom stand, in close proximity to the gate system. 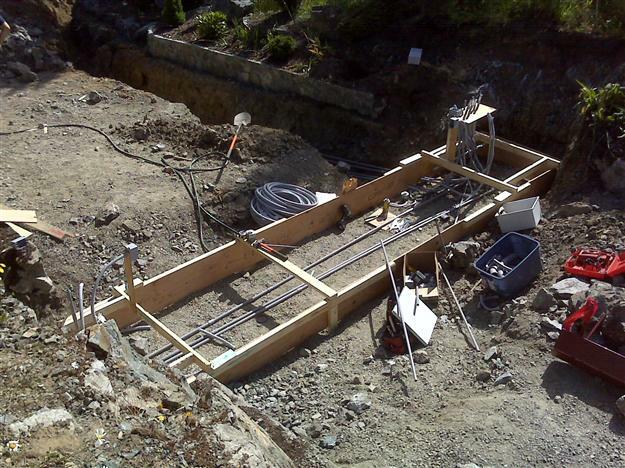 All of the conduit is brought up from the bottom of the box, not from the back. 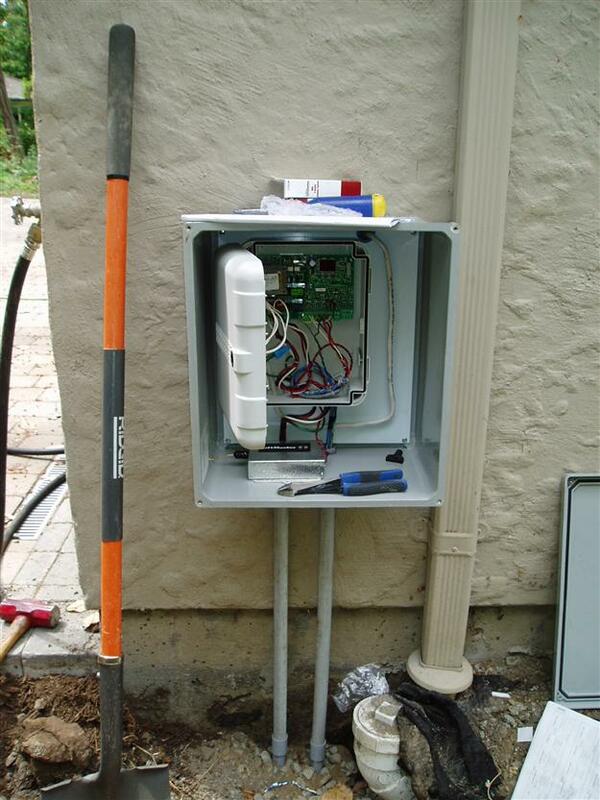 Residential Telephone Entry: This system will allow for voice communication using your home telephone system. 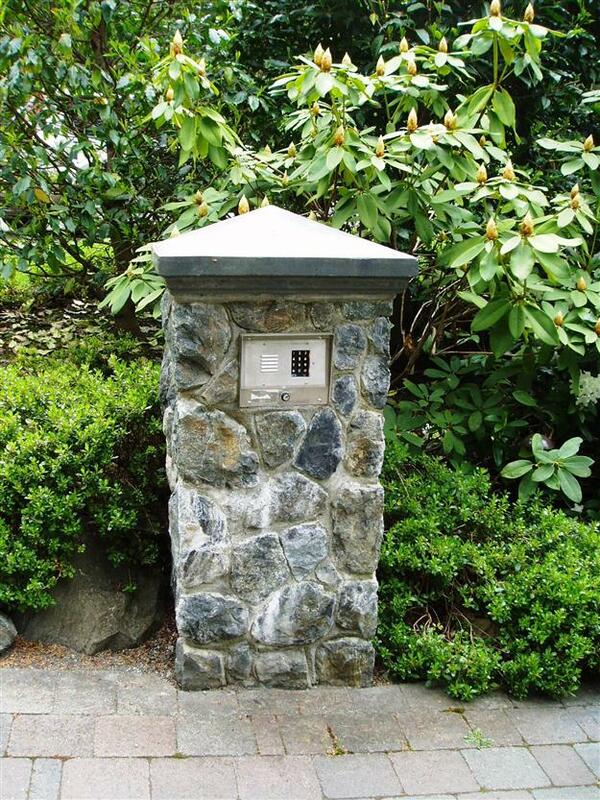 Anywhere there is a telephone in the home, you will have direct communication with your visitor. A visitor will be identified with a special ring tone. 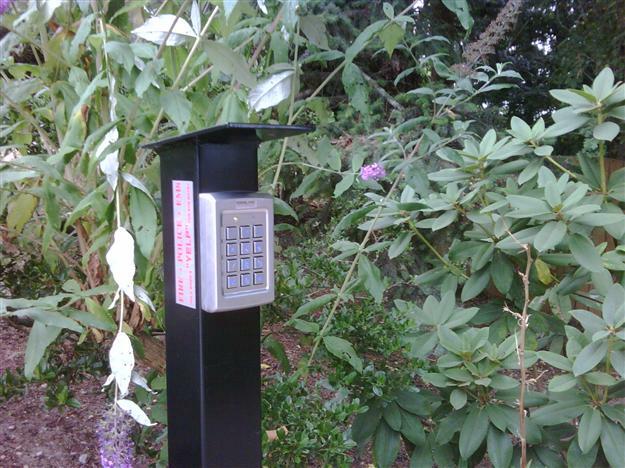 Using the telephone keypad, you can grant or deny access, through the main gate or the pedestrian gate. 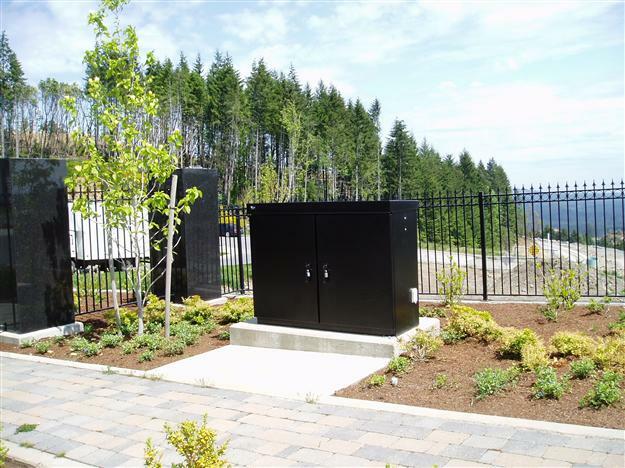 The unit connects into the existing telephone line or can be on a dedicated line, and can communicate with 2 residences on the property. 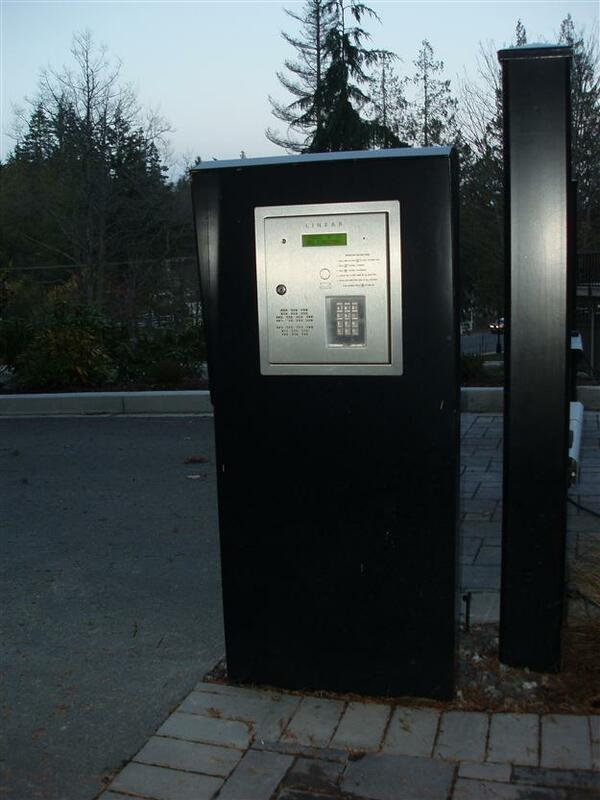 The telephone entry keypad can be used as a digital entry system – a regular visitor, or maintenance personnel, can be given an entry code to gain access to the property. 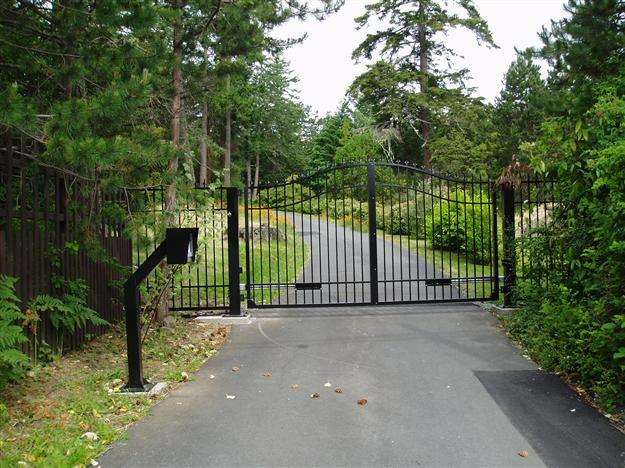 The homeowner can also grant or deny access, using their cell phone from a remote location. Some units also allow for programming and tracking from your computer. Black and white, or colour cameras are available with most models. 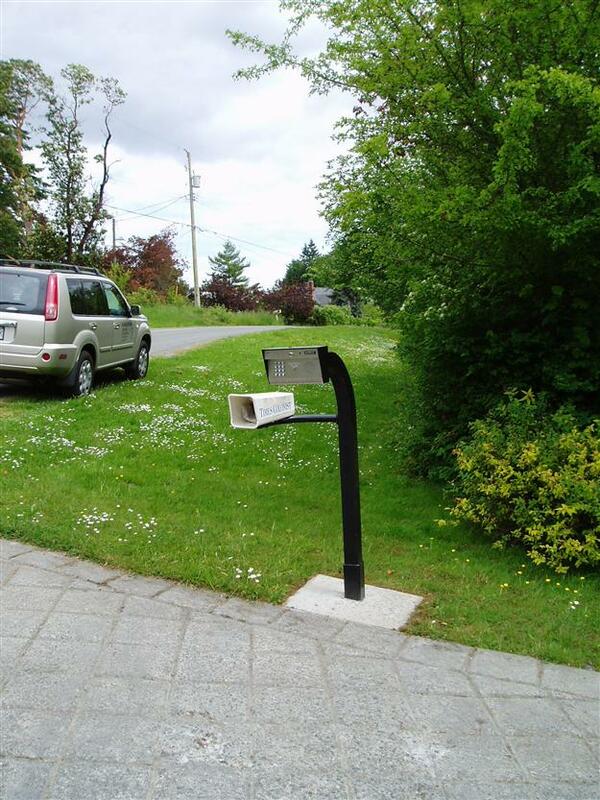 The system is typically mounted on a gooseneck stand, which is positioned approx. 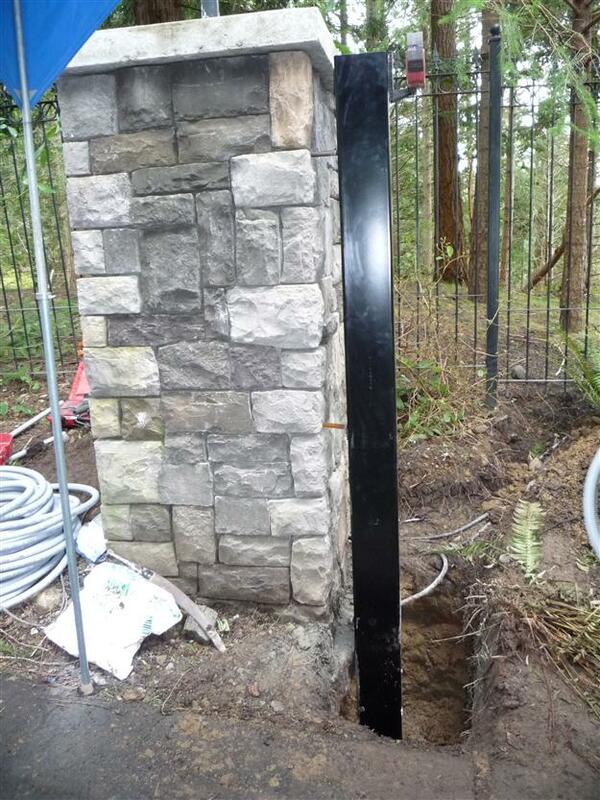 20’ in front of the gate. 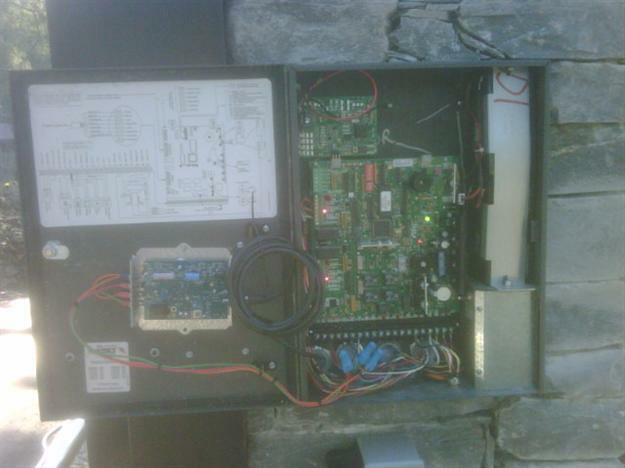 (Wiring requirements – 115 volt power supply and a 20VA plug-in transformer are needed. 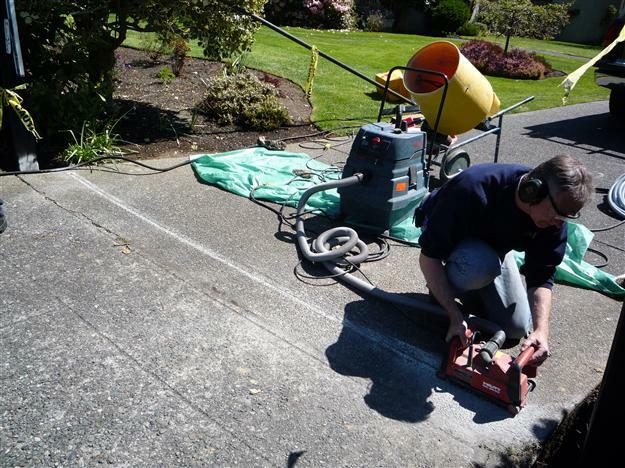 2 twisted pairs are needed for the telephone line, which have to be separated from the power supply wire, in separate conduit and a minimum of 12” apart. 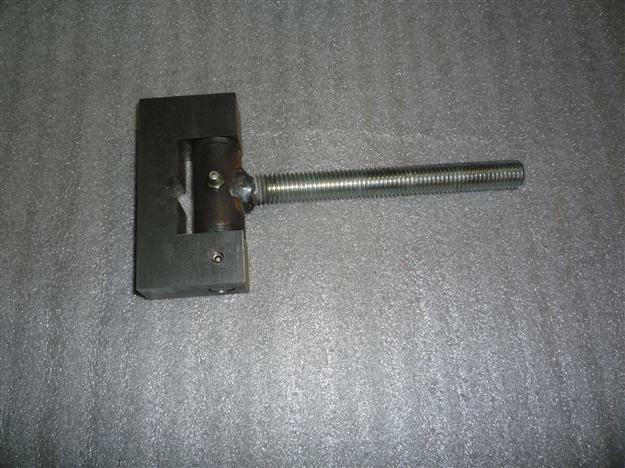 Wire size – see wiring chart. 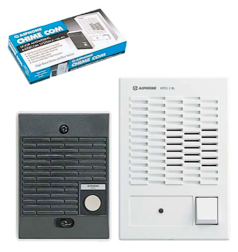 If used in conjunction with an alarm system, this unit must be added after the alarm system, on the telephone line. 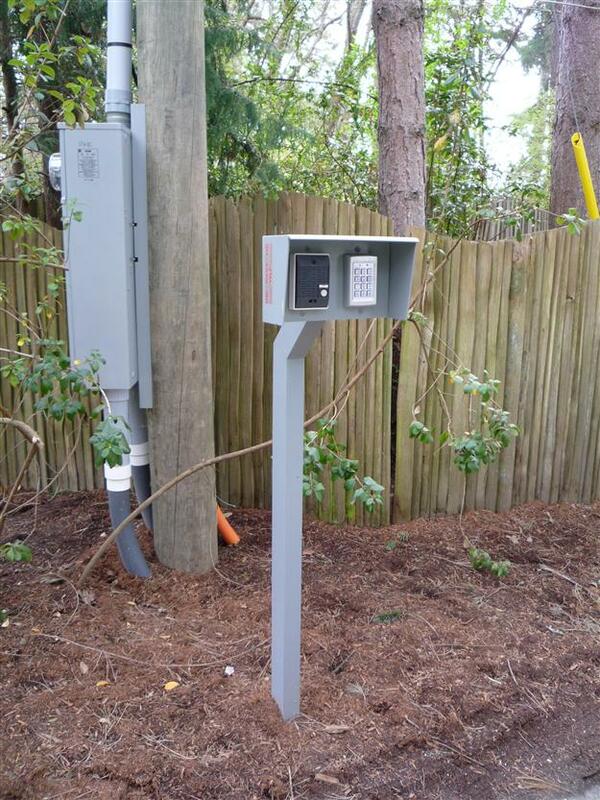 Radio Controls: Hand held transmitters are used by the homeowners to exit the property. 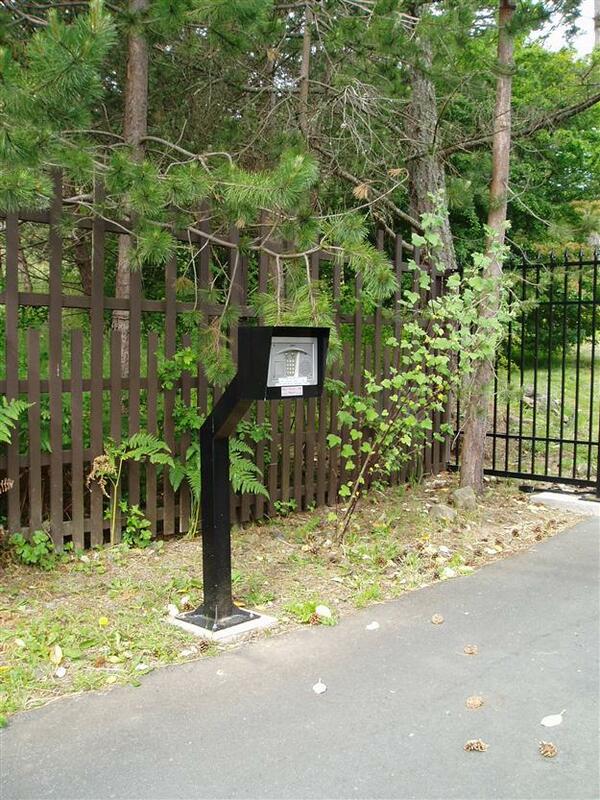 Exterior Grade Push Button: Mounted on a post on the interior of the property, allowing pedestrian, or vehicle traffic, to exit. 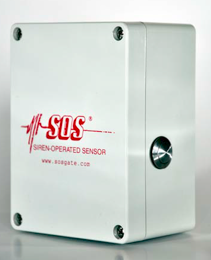 Exit probe: Similar to an in-ground loop but with limitations. 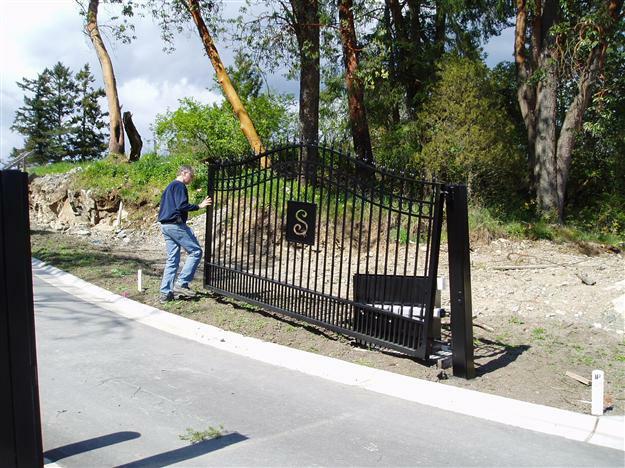 Restricted to a 12’ radius for detection of moving vehicles. 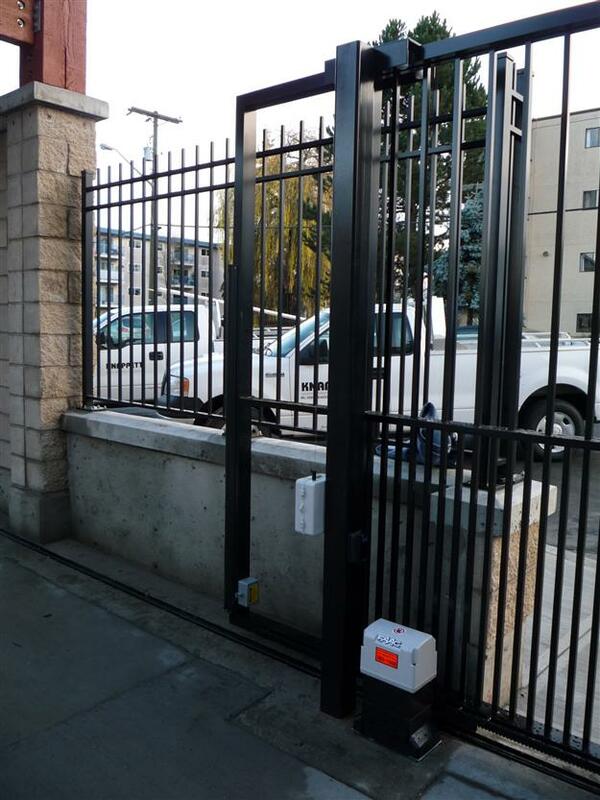 Photocells: A non-contact safety device that consists of an infra-red beam that spans the opening. 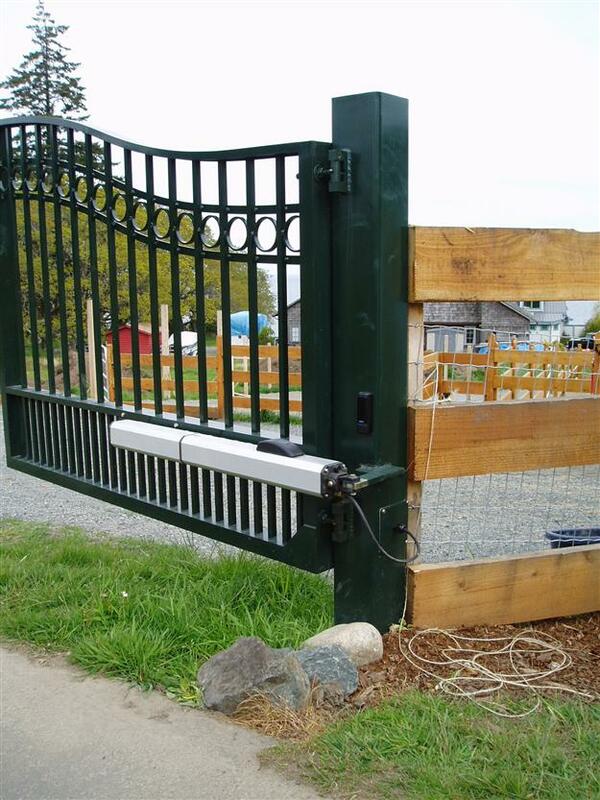 If the beam is broken, the gate will stop and reverse. 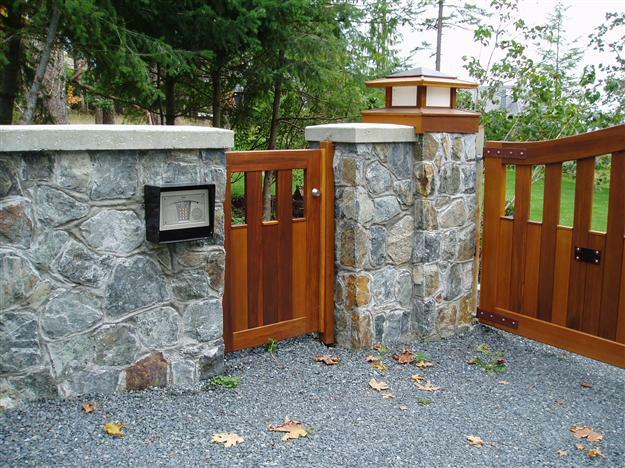 These units are designed for exterior application and are mounted on the posts, or gate columns. 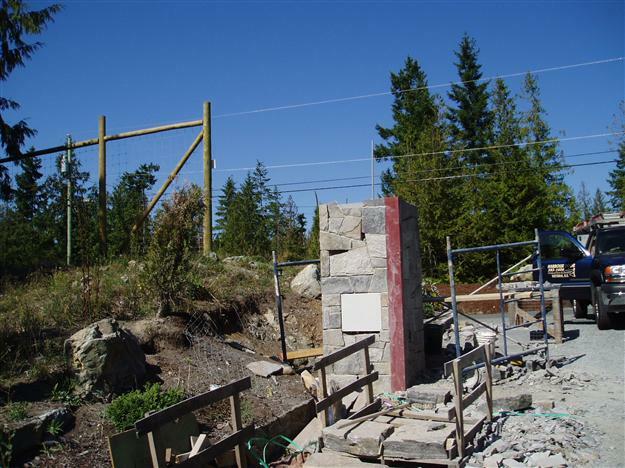 They are generally placed approx. 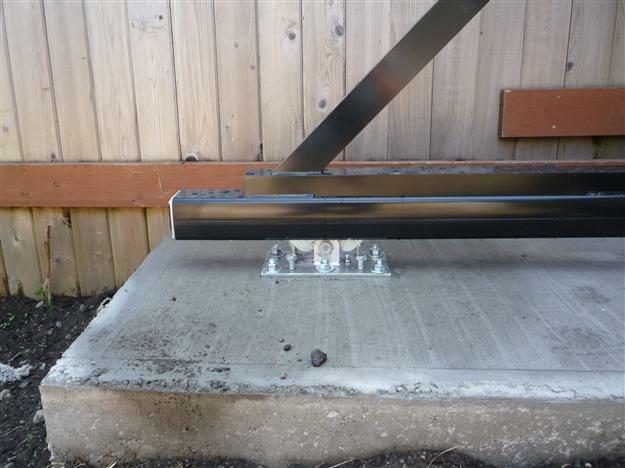 22” above ground level, to be at vehicle bumper height, to protect vehicles, not pedestrians. 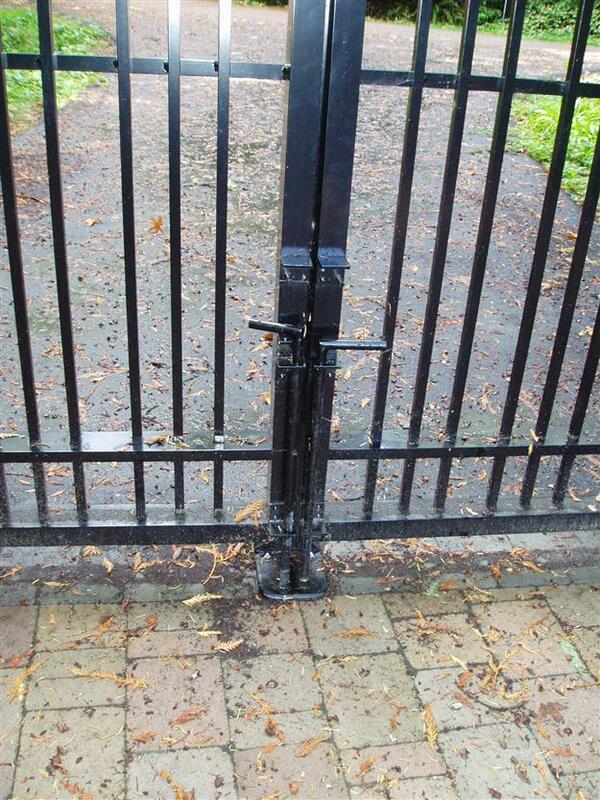 NOTE: For safety reasons, a pedestrian gate for access is recommended. 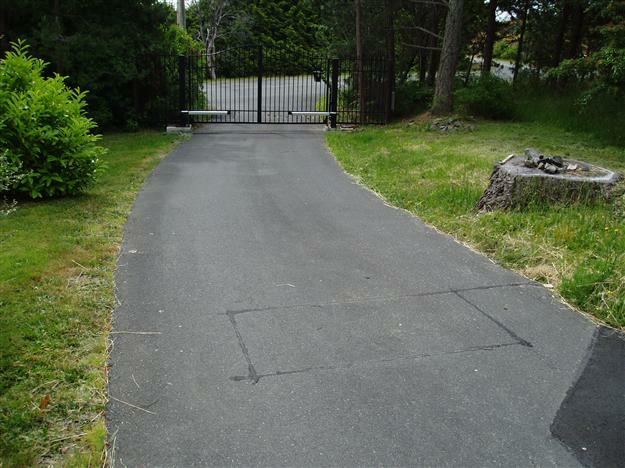 In-Ground Safety Loop: This loop is placed at the end of the gate travel, to protect vehicles that may be in the way of the gate closing. 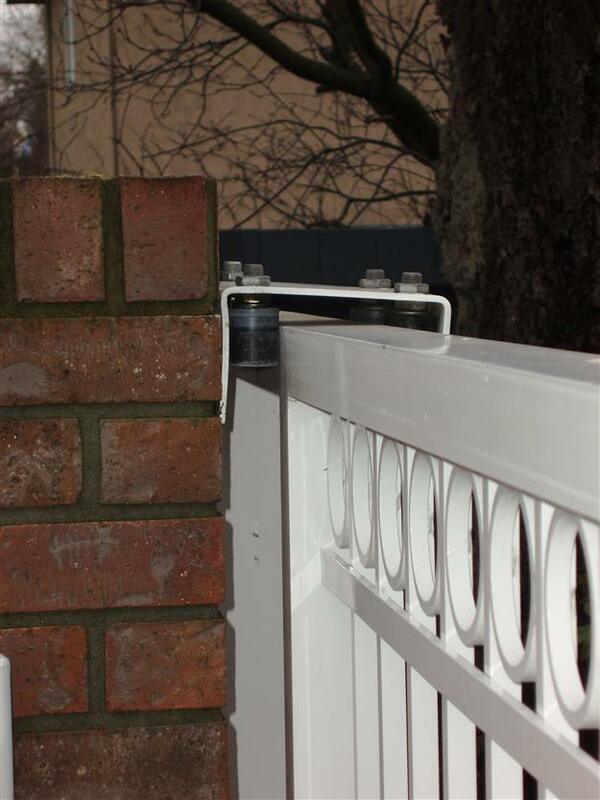 Contact Safety Edge/Miller Edge: Are used on sliding gate systems. 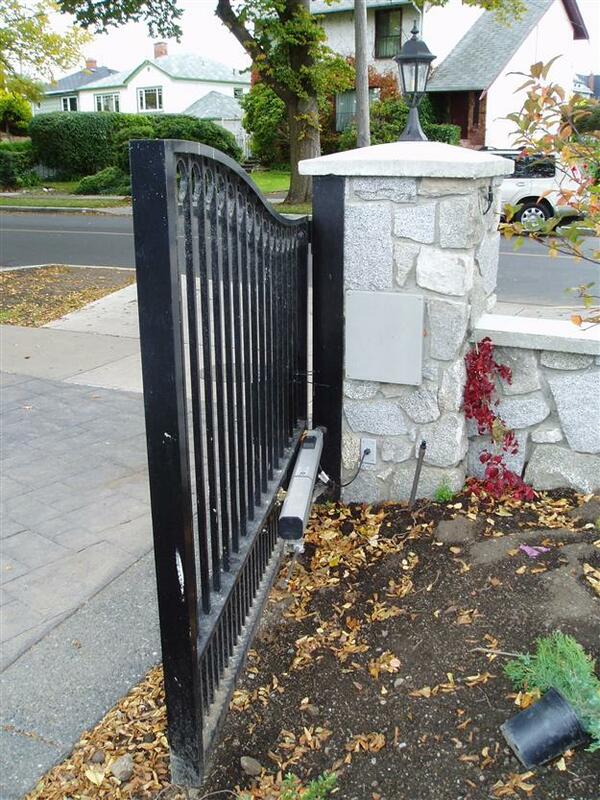 The edge, when contacted, will stop and reverse the gate. 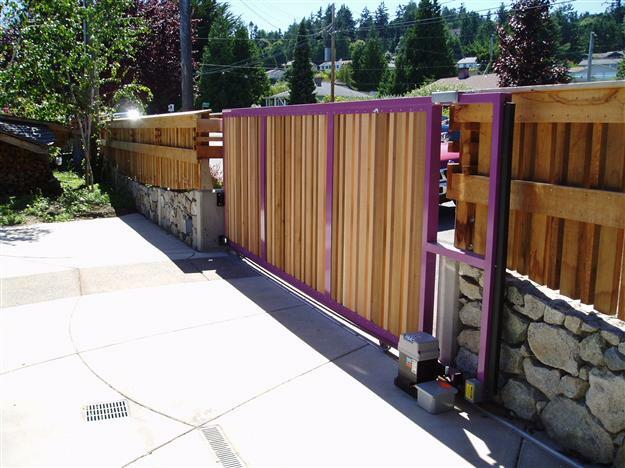 This system is designed to protect vehicles, not pedestrians. 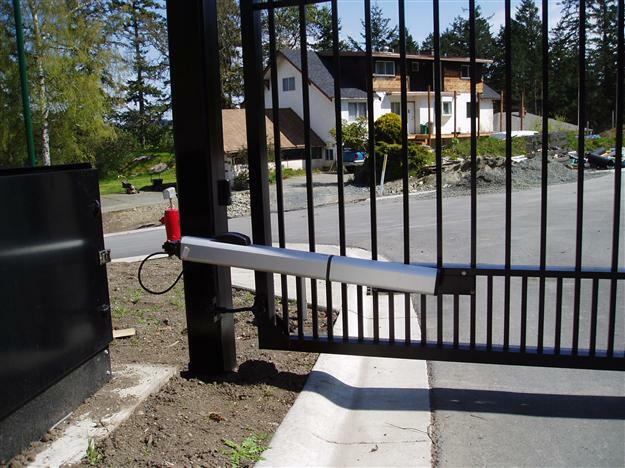 SOS: Siren Operated System: This system is used to open the gate when approached by emergency vehicles, such as Fire Trucks, Ambulance and Police. 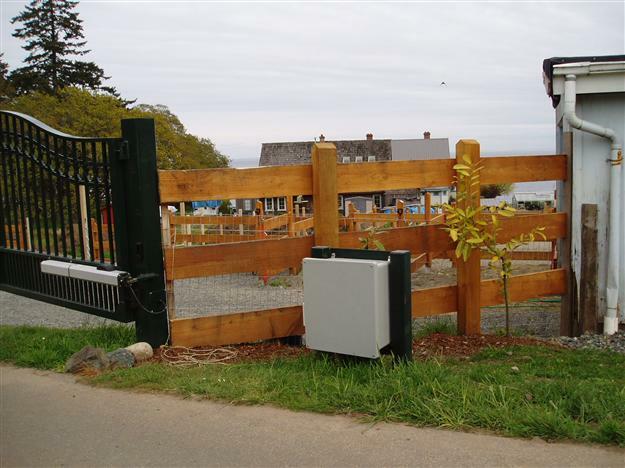 The system recognizes a “yelp” siren and will open the gate to allow access. 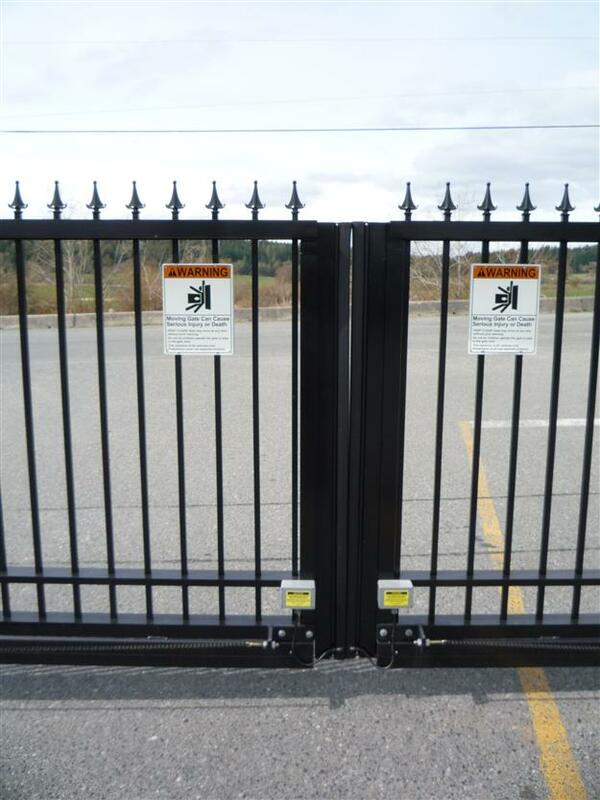 The system can be set to “open, time out and close”, can stay “open for 15 minutes and then close”, or “latch open, until reset”. 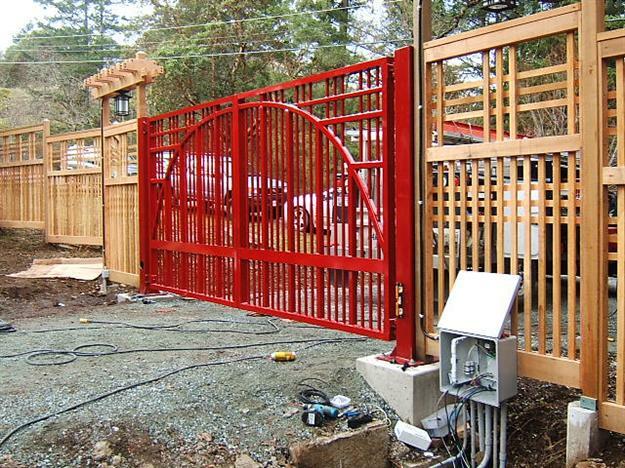 To ensure drive-by sirens do not open your gate, the sensor’s sensitivity is adjustable. 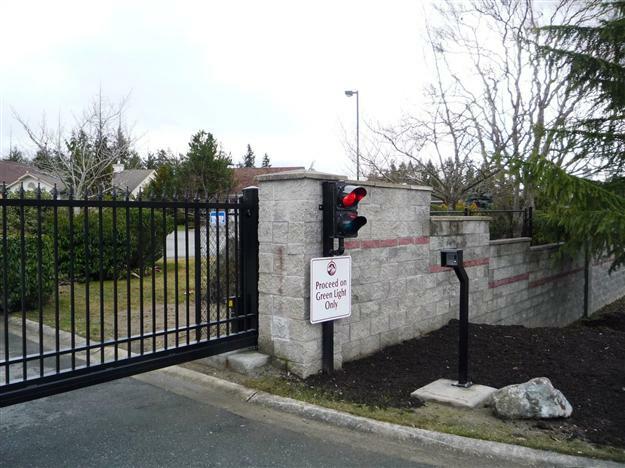 Warning/Traffic Lights: Lights can be installed on gate posts or pillars, or traffic lights on auxiliary posts. The lights indicate when it is safe to proceed through the opening. 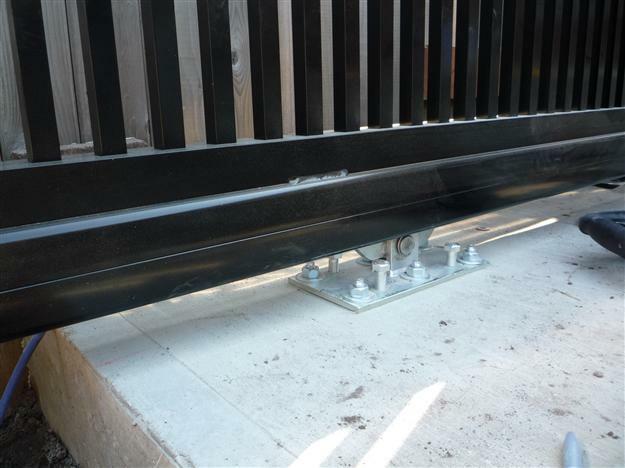 These will assist with traffic flow and provide for increased safety. 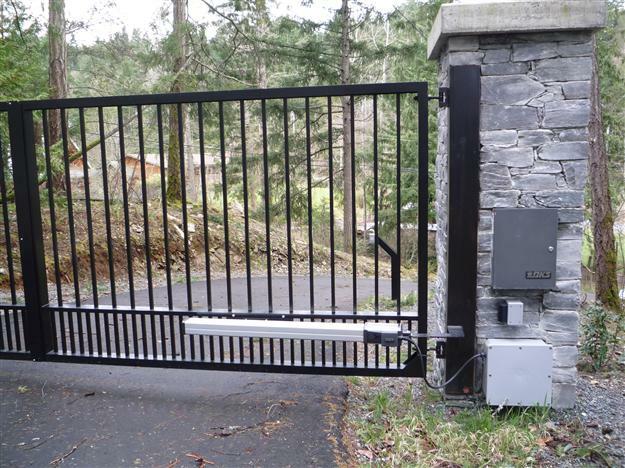 Battery Back-Up Systems: It is included, or can be added, to most gate systems. 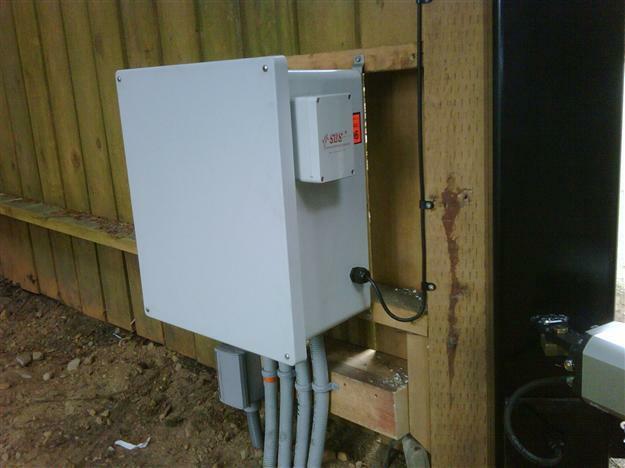 The system is designed to provide access during a power failure, of a limited duration, based on battery life. NOTE: Like all battery back-up systems, battery replacement is required, after a certain amount of time. 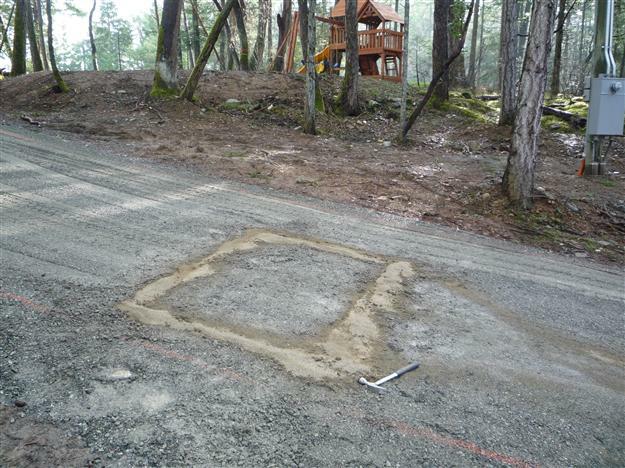 Solar Power: Not recommended, or reliable, in this area, unless perfect site conditions are present. 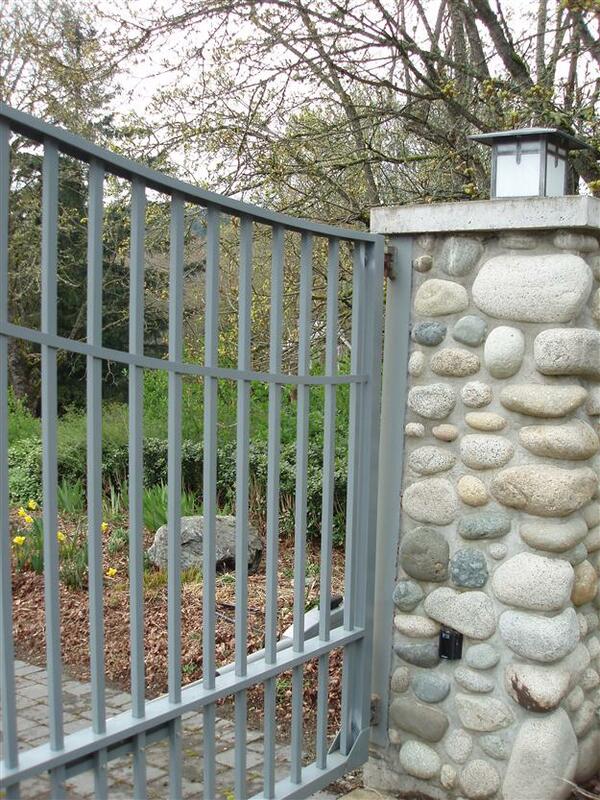 7- Day / 365- Day Timers: Gate is on a timer and will open/close at a preset time. 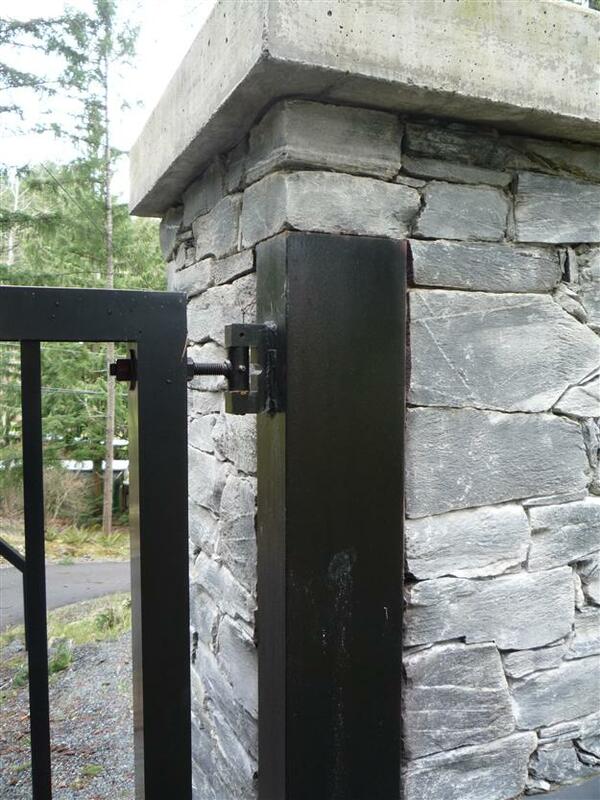 Magnetic Lock / Electric Lock: Used to help secure oversized gate leaves. 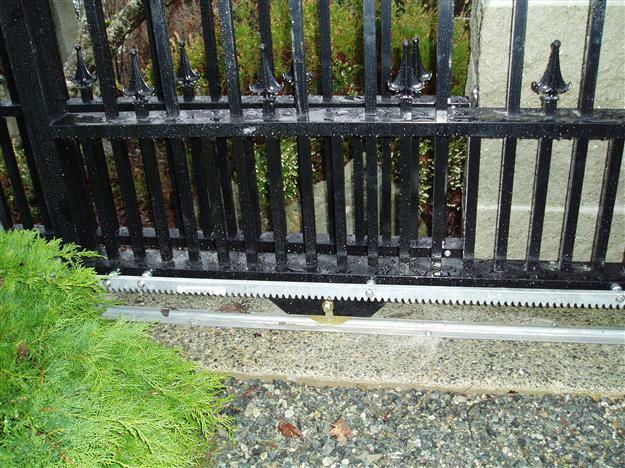 GC29 Sliding Gate with Top Guide Roller.